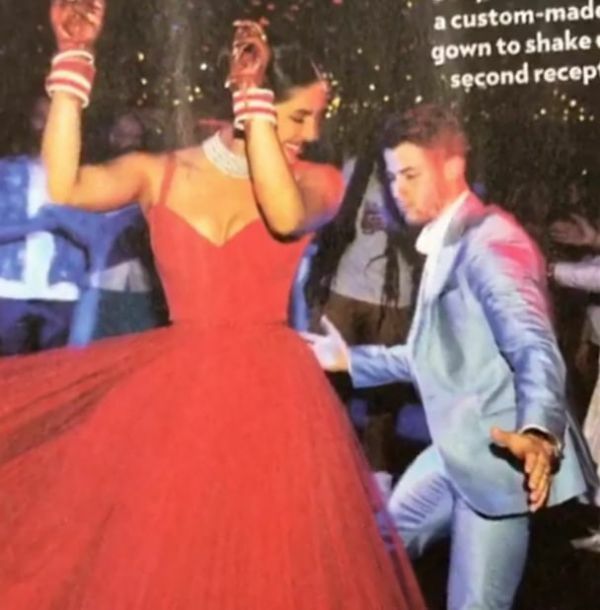 Priyanka Chopra Jonas Danced In A Dior Dress At Her Jodhpur Reception! 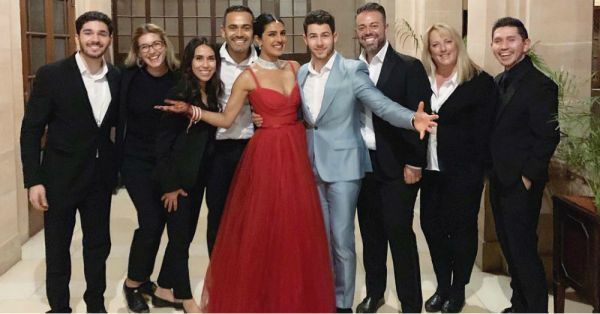 The Nickyanka wedding is the new bridal dream and how could it NOT be? 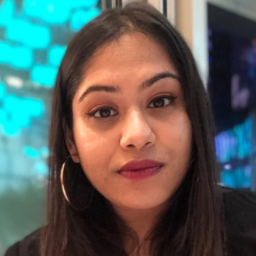 Two royal weddings, a doting husband (who is also an American pop sensation) and of course, all the shaadi waale kapde! Think about it. Priyanka's pre-wedding outfits were by Abu Jani Sandeep Khosla, her Catholic wedding gown by Ralph Lauren, and her Indian wedding lehenga by Sabyasachi. And now, we can add her reception outfit from Umaid Bhavan Palace to the list! 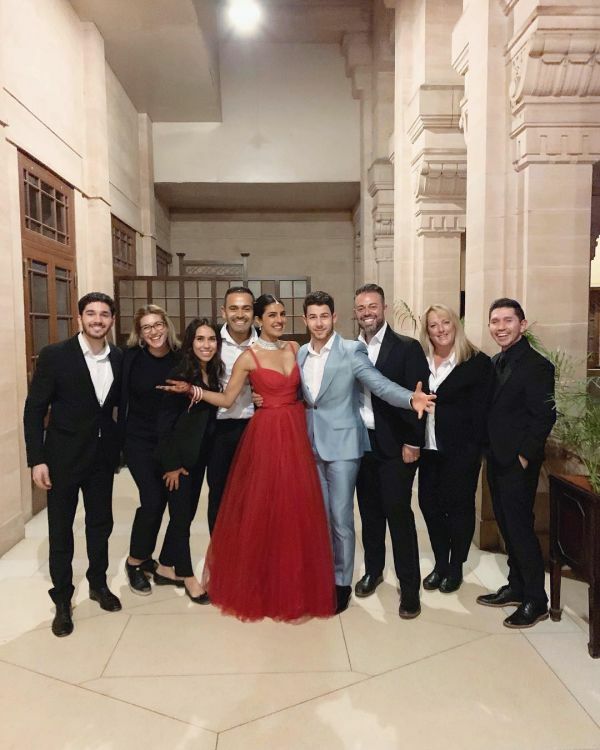 Yes, PeeCee and Nick had a reception post their Hindu wedding at Umaid Bhavan Palace, and we have pictures. And while the 'just-married glow' on the couple's faces was unmistakable, their outfits were just as special as their expressions. 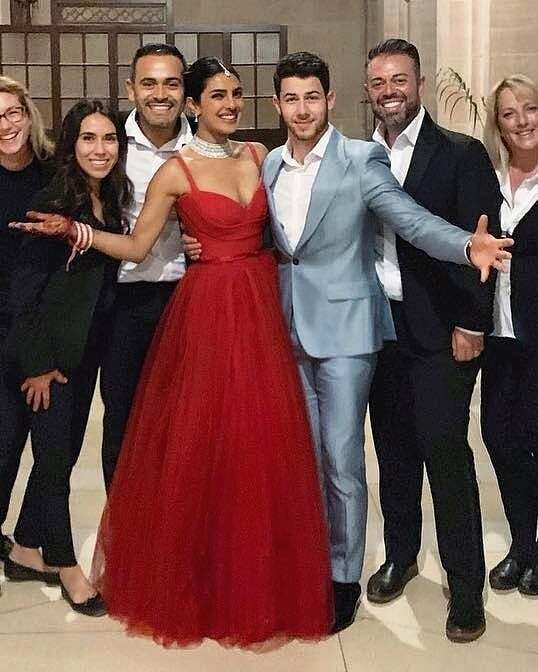 Priyanka Chopra was dressed in a red tulle Dior gown and Nick worked a pastel blue party suit. The Dior gown PeeCee had on was everything you'd imagined on a real-life princess. The glamorous red gown had everything a new bride would want - a deep sweetheart neckline, a ruched bust, a tulle skirt, and a satin red ribbon belt. L-O-V-E.
And while we did fall for her lovely red dress, we're confused by her choice of Indian diamond jewellery. Maybe she thought it would make a statement or maybe she just didn't care by then. Two weddings, ladies, remember? Not only is red the colour of love and passion but it is also a fashion classic. Which is why the fact that Priyanka wore a red lehenga and, right after the ceremony, changed into another red outfit didn't quite bother us. Plus, you don't have to be a bride or married to know how heavy those bridal lehengas can be.